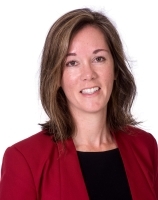 Catherine has over 14 years’ experience in dispute resolution as a lawyer, mediator and decision maker exercising delegated and statutory judicial authority, having returned to Page Seager in 2016 following appointments as a Federal Court Registrar and Administrative Appeals Tribunal Registrar. Catherine has extensive experience in both informal and formal dispute resolution and is focused on getting the best outcomes for clients by ensuring that commercial needs are understood and where it is necessary to use formal dispute resolution, that efficient and effective management of cases through Court and Tribunal processes occurs. As an accredited mediator for the Federal Court, Federal Circuit Court and Administrative Appeals Tribunal undertaking mediations, conciliations and case conferences across a broad range of administrative and commercial matters. As the Federal Court’s National Mediation Registrar, trained mediators, lawyers and clients in mediation and informal dispute resolution skills, and presented as a lecturer at the University of Tasmania’s dispute resolution course. Appeared as counsel in various courts and Tribunals and as a decision maker and presiding judicial officer in the Federal Court’s insolvency practice area in corporations, bankruptcy, public examination and liquidator applications. As a Federal Court and Administrative Appeals Registrar case managed litigation through pre-trial steps, resolving and determining interlocutory processes and ensuring the efficient progress of cases to resolution.